» When: 5-9 p.m. Wednesday, April 10; discussion begins at 6 p.m.
On Wednesday, EngageSA, a discussion series co-hosted by the Heron and Dorćol Distilling + Brewing Co., continues with cocktails and beer, and a talk about San Antonio’s digital divide. Last year at a similar event, Jordana Barton, senior adviser at the Federal Reserve Bank of Dallas, said a quarter of households in San Antonio don’t have Internet access. What does this economic and social inequity look like in San Antonio and how does it translate into education, workforce development and income inequality? What does our future look like as a city, and what are some things citizens can do to help close the gap? We’ve rounded up some experts to help answer these questions and others. Panelists include Barton; DeAnne Cuellar, state director of Older Adults Technology Services; Munirih Jester, ConnectHome coordinator at the San Antonio Housing Authority; and Craig Hopkins, chief technology officer at the City of San Antonio. Maria Luisa Cesar with the Greater Good Stories Consulting Firm will moderate. 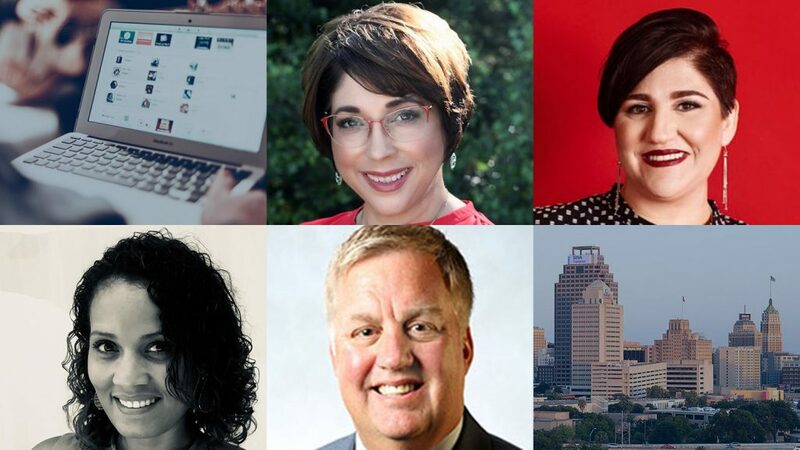 We hope you’ll join us for the latest in our Engage SA series, which launched last week with a discussion about civic engagement and transparency in local government. Click here to view the live stream. Next week, on Wednesday, April 17 at Dorcol, we tackle property appraisals with Michael Amezquita, chief appraiser of the Bexar County Appraisal District. View the Facebook event page. Pls note this topic requires a discussion re: economic policy, i.e. economic segregation, & not anout the latest program, project, iniiative, r innovation. City leaders & ” the best city mamager in the U.S.” have yet 2 address a structural challenge. The city neefs 2 replace its urban planning, economic growth agenda 2 become a metroplex & adopt a socioeconomic framrwork .